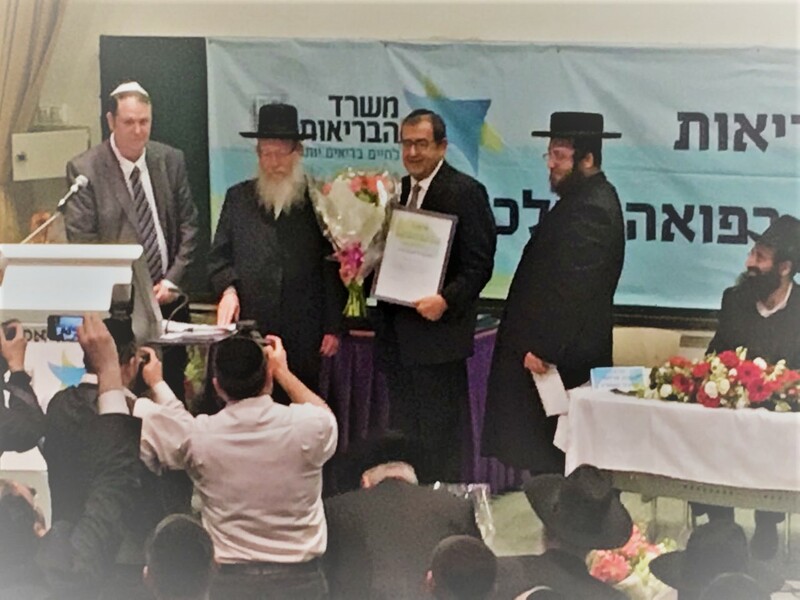 Mazal Tov to our very dear and close friend, Zvi Ryzman, for receiving the prize from the Ministry of Health, specifically, Rabbi Litzman, Israeli Health Minister for his extraordinary book on the subject of Fertility. His mammoth accomplishment resulted in many Jewish babies being born! Mazal Tov! 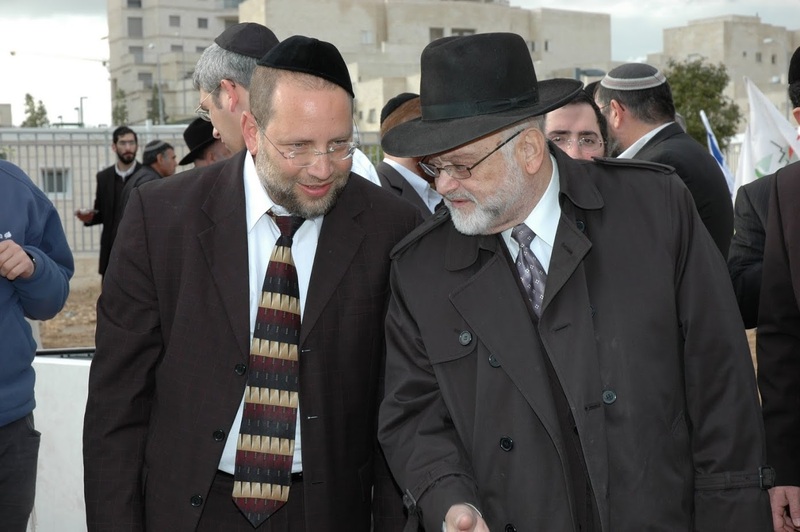 A great Torah Scholar, Ha Rav Eliezer Rosner ZT”L, passed away a little over a month ago. As Ze’ev Wolfson ZT”L Gabbai, Rav Rosner worked very closely with Rav Raanan as his “Rebbe,” teacher, and mentor training him, and supporting Rav Raanan in establishing and implementing AH’s programs. AH owes Rav Rosner ZT”L a great debt of gratitude. Many of AH’s accomplishments can be traced back to Rav Rosner’s careful tutelage and assistance! Over the course of the past three months, and in his memory, AH established the “The Fruits of Eliezer”: 15 Batei Medrashim on secular kibbutzim and moshavim. Initially, these Batei Midrashim are meeting once a week for two hours affording members and residents of these communities the opportunity to learn Torah. AH is lighting the fire of Torah in each of these locations and is praying that its sparks will ignite surrounding locations expanding the number of Batei Midrashim, participants and the hours of learning time. 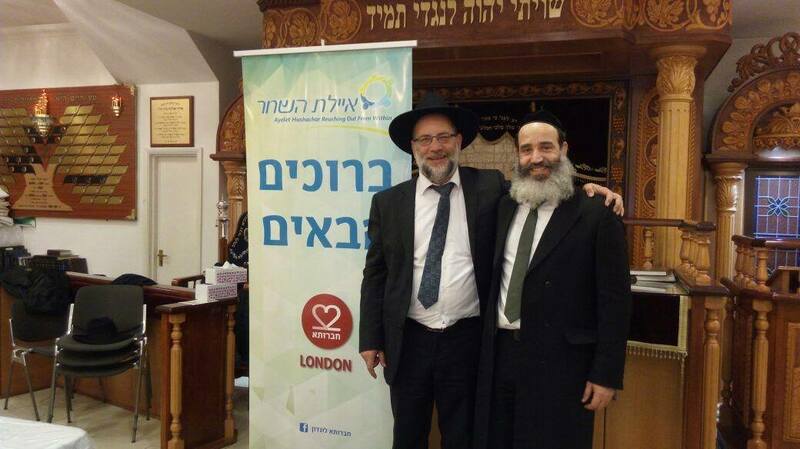 AH sent the wonderful Ashki Family (an Israeli religious family) to live in London, and after several years of work they have reached many of the 60,000 Israelis living in London who were otherwise disconnected from the London Jewish Community. 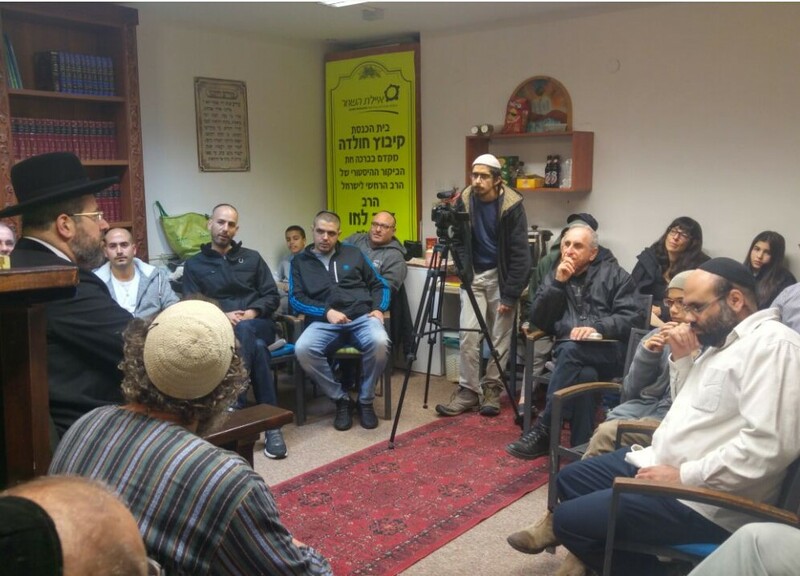 Last week, Rav Raanan visited the Ashki’s seeing first hand their amazing work including establishing a community center for Israelis. Joining Rav Raanan was Rav Yitzhak Fanger, a charismatic speaker from Hidabrut who spoke to the Israelis. (Hidabrut is an Israeli television network and according to its website, the biggest site for Judaism in the World.) Rav Raanan had a special meeting with thirty-five Rabbanim from the London Jewish Community enlisting their help and direct participation (among them, Rav Shimon Weingarten Shlita, who warmly welcomed AH applauding its work). 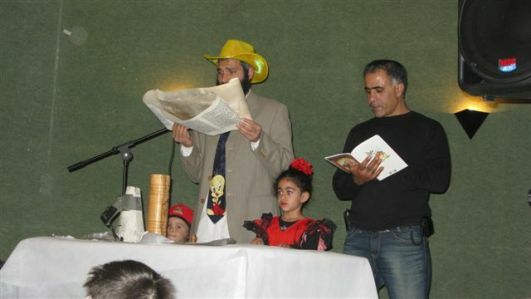 The Rabbonim were deeply interested in bridging the gap, wanting very much to share the treasure of their community, yiddishkeit and culture with the Israelis. Rav Raanan also met with members of the Israeli Embassy’s staff who expressed their fear that soon the Israelis living in London would be lost/completely assimilated and discussed ways of preventing such an outcome. Kidmat Zvi, a settlement/Moshav, was established in 1981 and neither had a Synagogue nor a Sefer Torah. 18 years ago AH sent 9-10 men there every Shabbos. In the beginning only 1-2 men came to daven. Over the course of those years, more and more people joined. 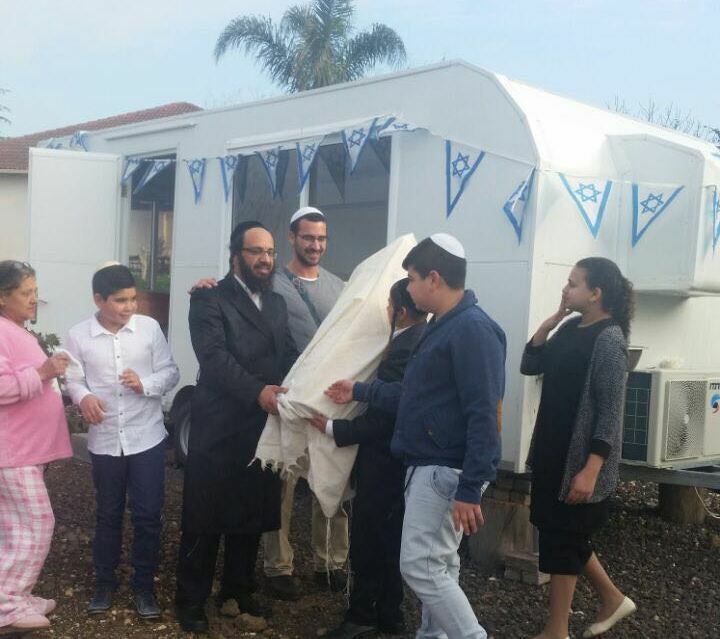 AH has lent them a mobile synagogue, and a Sefer Torah was recently dedicated to the community. Since that dedication AH has received numerous inquires from surrounding yeshuvim and kibbutzim asking to hear more about the program and potentially to participate. We are in discussions with several of those who inquired! Located in central Israel Kibbutz Hulda dates back to 1920. Until two years ago Hulda had no minyan. At that time, AH started a Shabbos and daily Shacharis minyan. At AH’s invitation, Rav Dovid Lau, Chief Ashkenazi Rabbi of Israel spoke at the Kibbutz giving its members support and strength to the continue AH’s programs. That same night Rav Lau spoke, AH opened a night Beit Midrash! AH invites everyone to join together on 1-March 2017 at 7:30 p.m. at Kibbutz Kiryat Anavim near Telzstone (West of Jerusalem) when Rav Lau will speak again: this time on the importance of Jewish unity and shared responsibility. AH wishes a special Mazal Tov to the Lau and Adler families on the marriage of their very special children!